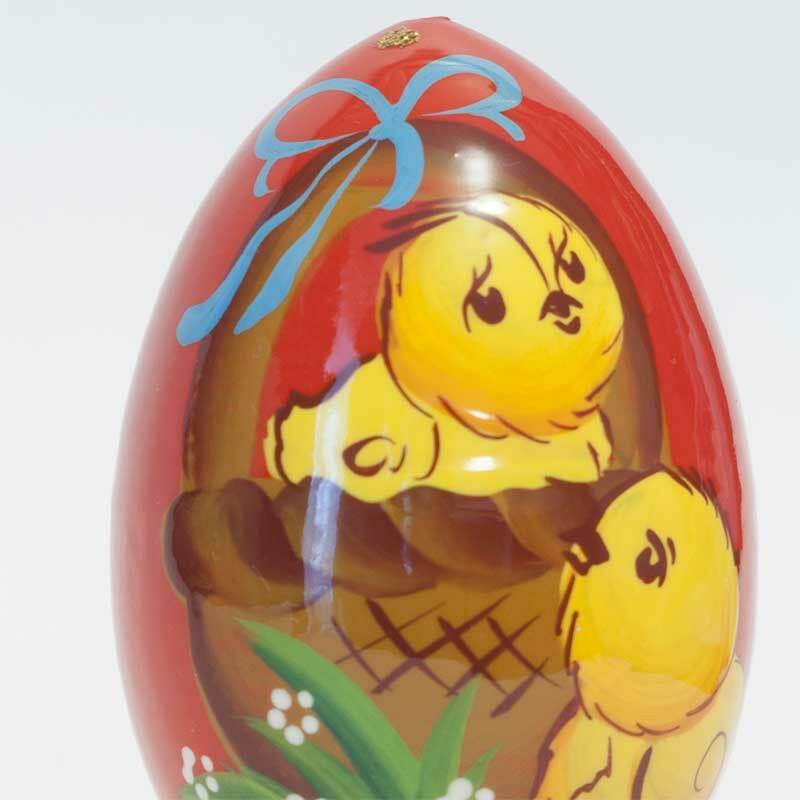 Easter Egg Egg Two Chickens in Basket is painted on wood egg and it is made specially as a gift in Easter Day. 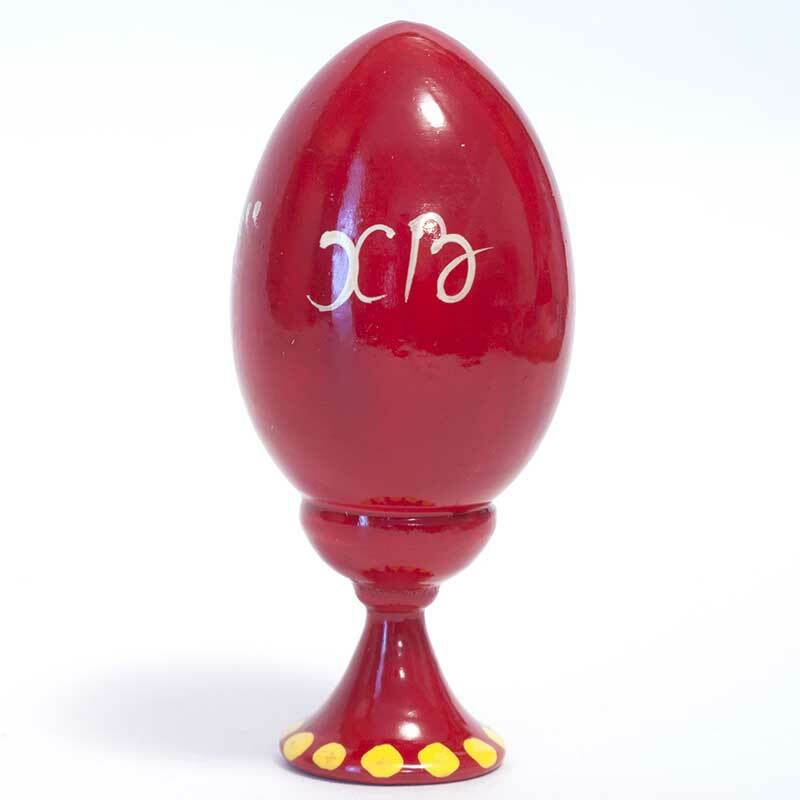 The egg form is made of soft light wood, then painted with tempera paints and finished with some layers of glossy lacquer. 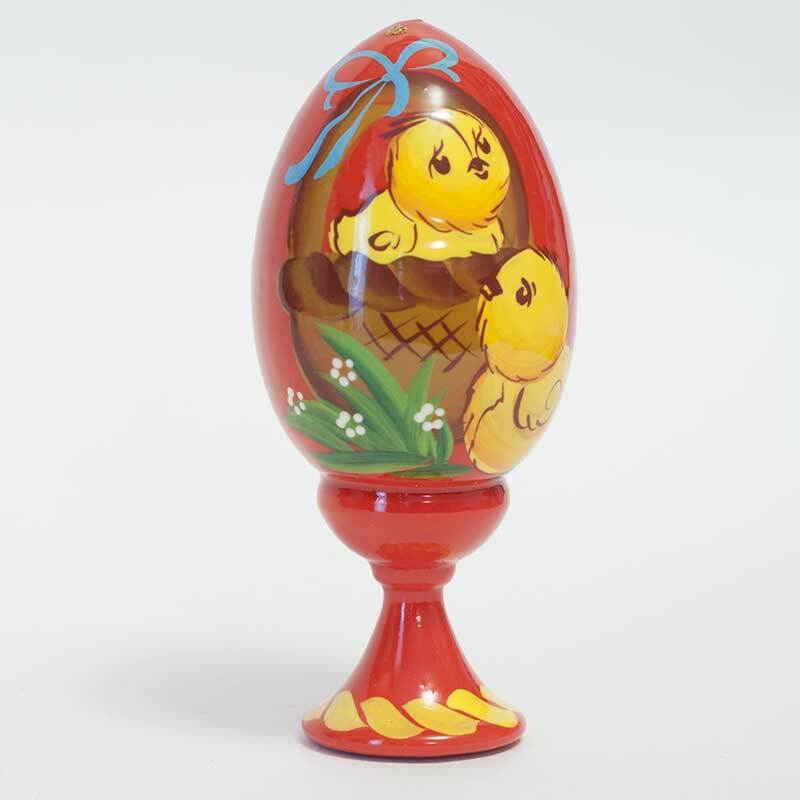 The egg and the stand are fixed together.